This event is part of “Sand: Amphitheater, Theater, Arena,” a project by ArtCenter’s Art in Public Life resident Misael Soto. The first of three events, Sand: Amphitheater, uses sand as a literal and metaphorical foundation to explore the area’s history and its ecosystem, and examine how our decisions along the way led us to present day South Florida. 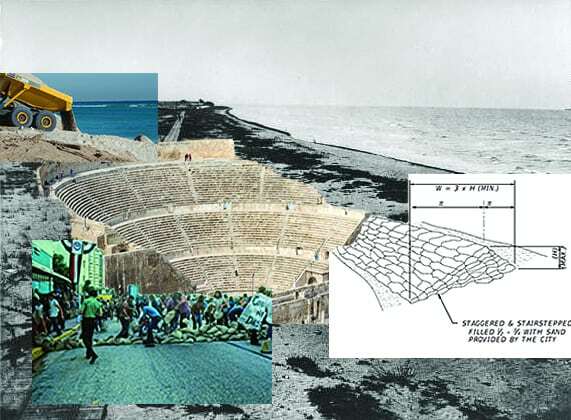 The public forum and performances will unfold inside of a public art installation in Collins Park where thousands of pounds of sandbags are stacked forming a Greco-inspired amphitheater.